ESET researchers have discovered a new data-stealing Trojan malware, detected by ESET as Win32/PSW.Stealer.NAI and dubbed USB Thief. ESET warns users against an increased number of infected emails containing a malicious attachment, which downloads and installs ransomware onto an infected device. 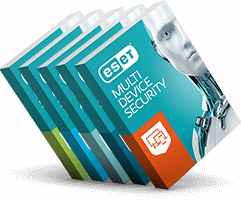 ESET researchers have discovered a strain of Android malware that can steal the login credentials of mobile banking users. ESET has uncovered a new wave of attacks against electricity distribution companies in Ukraine.